I have an original Replay1a board back for repair at the moment, so I thought I would take a picture of the family together. R1a on the left. R1b next with the 68060 daughter board. Top right the Arduino MKRVidor4000 we are targeting to be a low cost R1 replacement. 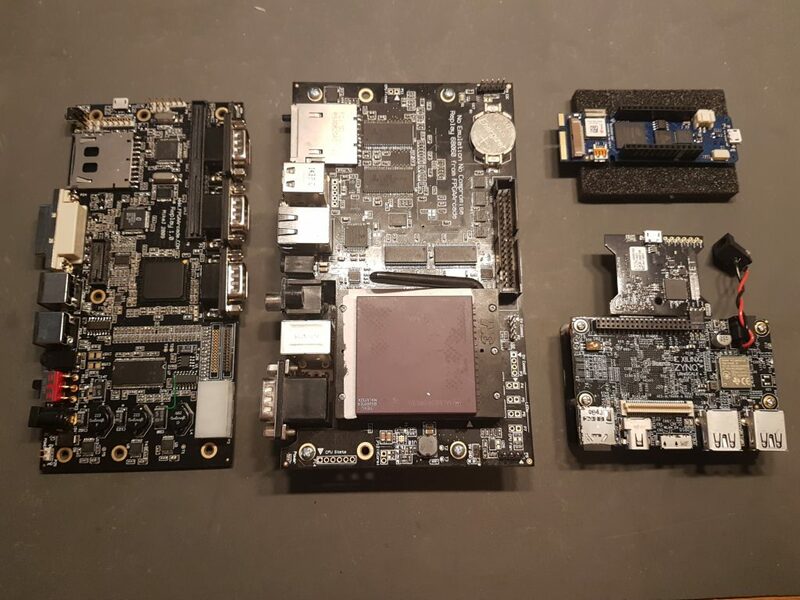 Bottom right the Zynq Ultrascale board which we are using to evaluating the SOC for R2. I’m currently designing a small expansion board which will let me test analogue and digital video out from the FPGA fabric. We’ve sold all the boards in Europe. Jim Drew still has one or two in the US which can be shipped anywhere. If you have a Replay1 board, this is your last change to get one! Ping me or Jim. 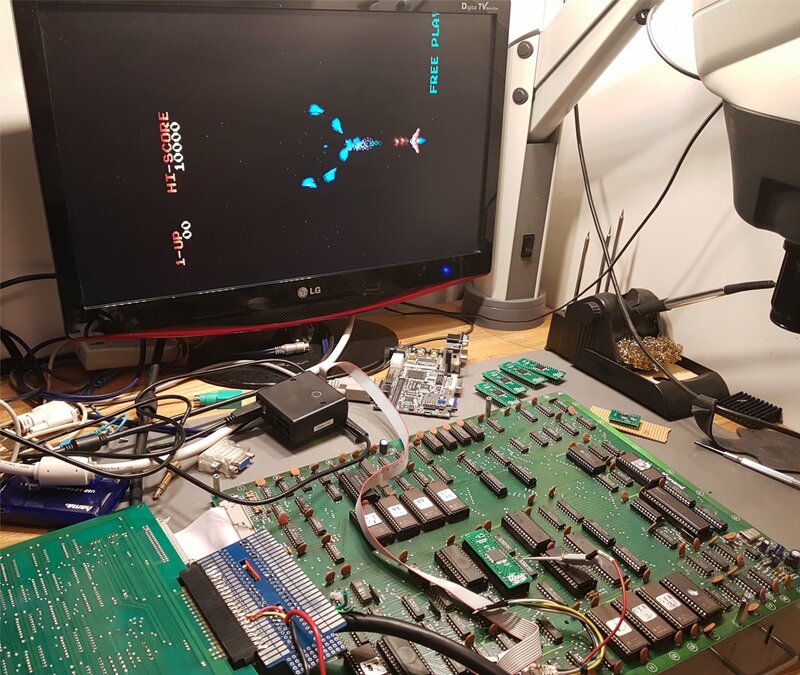 Took a quick break from the new Replay build system today and tested a batch of replacement 503 ICs. They appear to work well, so I can ship the board back to it’s owner and get some desk space back! You can see the new 40 pin module working on the board below. I’ve got some left in stock, contact me if you need any – as well as a wide selection of 28 pin replacements. Finally, after being stuck in Swedish customs for nearly a month (thanks PostNord), the PCB for my 40 pin Konami 503 ASIC replacement has arrived. I’m experimenting with an Atmel 5V CPLD on these, rather than the old Altera MAX7064 which is getting hard to get, and rather expensive. 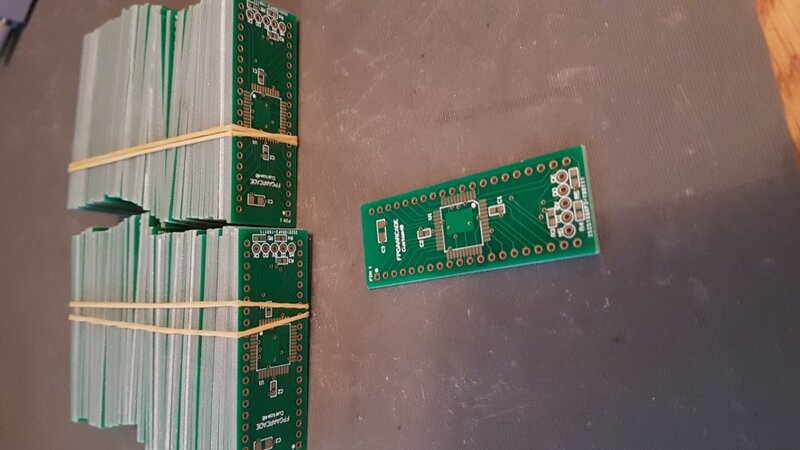 The PCB is double sided with a nearly solid ground plane on the bottom for good signal integrity and power stability. Assuming these new parts function as expected the completed modules should work out around 24Euros each. I appear to have got a bit carried away when ordering these boards, so if you want any let me know!